VOTED BEST Memphis Commercial Metal Roofing | Steel Commercial Roofing in Memphis, Tennessee - Beneficial Roofing | VOTED BEST Roofing Company, Call Us Today & See Why! Hiring a Memphis commercial steel roofing contractor is a serious decision but finding one who is hardworking, trustworthy and dedicated can be a daunting task. Your new metal roof is a serious investment that deserves proper care and maintenance. If you are contemplating using a metal roof for your business in Memphis, Tennessee or you simply need repairs on your existing metal roof, you will need to make the right choices. Application of a metal roof requires specialized tools and skills that may not be applicable during the installation of the more typical roofing products. While a typical roofing contractor can easily install asphalt shingles or wood, metal roofing requires a specialist who can get the job done the right way. 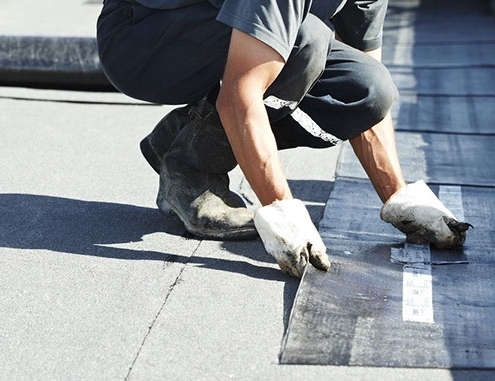 Roofs made with traditional asphalt have a life expectancy of between 12 to 20 years but properly installed metal roofs can last even longer. As long as the roof is given the necessary attention and care, it can easily last for up to 50 years or more. 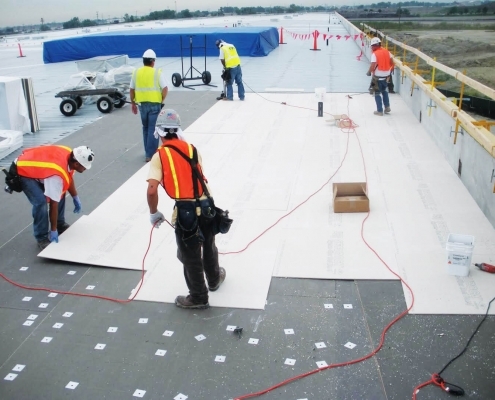 Once your commercial metal roofing contractors seal the roof with a non-corrosive agent, you will no longer have to worry about corrosion or cracks. Metal roofs are resistant to harsh elements including mildew and rot. Depending on the type of material used, a metal roof is capable of withstanding up to 140 miles per hour of wind gusts. The roof is also easy to install which means that you will not have to wait for a long time to get a new roof. Metal roofs do not require the kind of maintenance that other typical roofs need but they should also be inspected regularly. Since metal roofs reflect heat from the sun, they can significantly help to regulate your in-house temperature. This helps to reduce cooling costs by up to 25 percent and also helps to lower your heating bills as well. These roofs are also environment-friendly since most of them are made from recycled materials. Metal roofs are resistant to fire which makes them a safe roofing material for your home or business. They do not spark or ignite as a result of a lightning strike or wildfire. Metal roofs are available in a wide range of colors and styles which helps improve the appearance of your home or office building. The most common types of metal roofing materials include aluminum, galvanized steel, tin, and copper. Metal roofs may be expensive to install when compared to cheaper alternatives but in the long run, you will save a lot of money on repairs and maintenance. 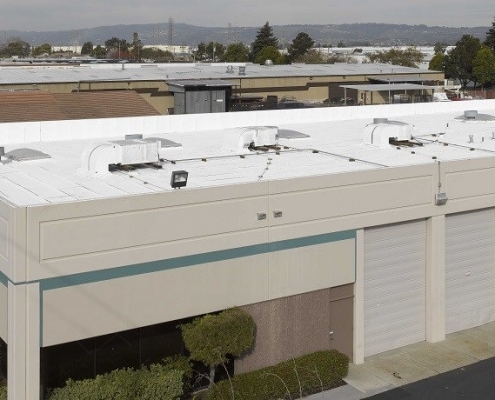 Besides the sound of rain on a metal roof, it makes a lot of sense to conduct your business in a building that is secure, safe and cost-effective and this involves the installation of a metal roof. When it comes to choosing the right type of metal roofing material for your commercial premises, there so many options to consider. Your metal roofing contractor will help you choose the best based on the pros and cons of each. Metal is increasingly becoming a popular roofing material in Memphis for many reasons but for it to be properly installed, you will need to hire a professional metal roofing contractor. If you are looking for a professional Memphis commercial metal roofing contractor, call us today for all your metal roofing installation, inspection, repair or replacement needs.